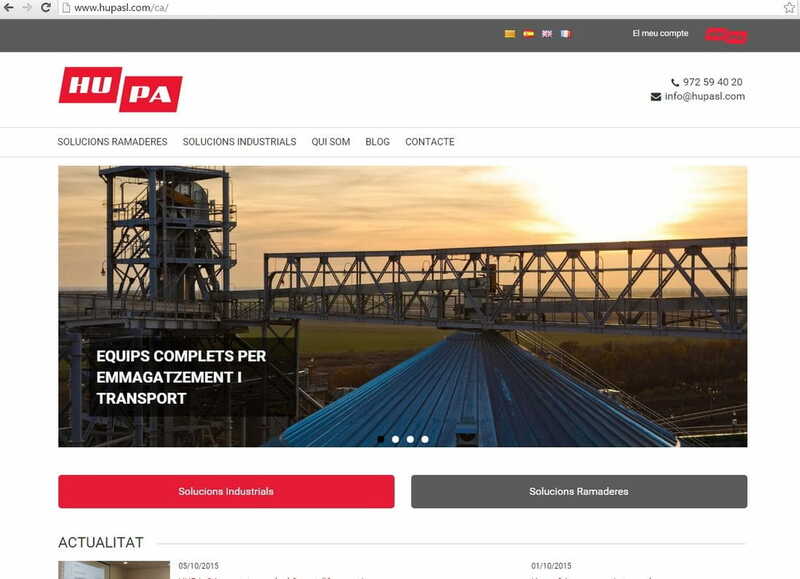 Hupa S.L., the company who manufactures, assemblies and maintenance machinery for farms and solid industry, presents its new website this 2015 (www.hupasl.com), like an example of change to adapt to the new market demand. The website provides a more modern tool, adapted to customer needs with the aim to become a reference tool to access to our products. It offers information of our manufactured products, with images. We are working to incorporate more industry product details like videos or technical information of each product. It also offers the option to register; by this form our customer can receive information of the sector, once a month, like special offers, information of new technologies, new products and news about us.